operation in 1968. 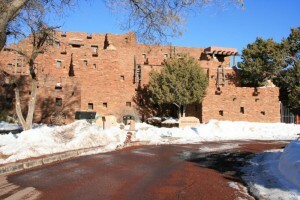 Now, since its reopening in 1989, people are again able to ride to the rim in style. The old cars are refurbished and drawn by good old nostalgic steam engines, although once it gets cold in the fall they switch to diesels. 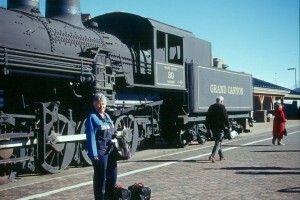 The trip starts from the historic Williams Depot, now fully restored to its former grandeur. 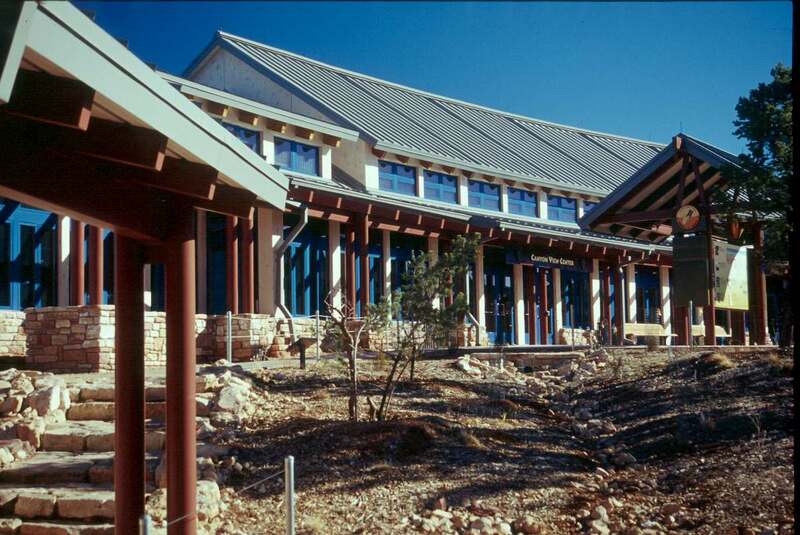 Nearby is the brand new southern style Fray Marcos Hotel, now called the Grand Canyon Railway Hotel, with 196 rooms, is handy for travellers who want to stay in Williams overnight. 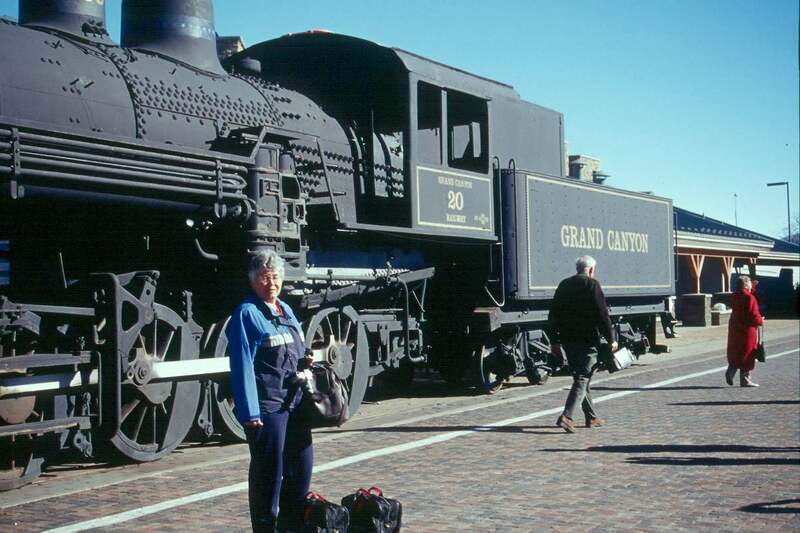 The Grand Canyon Railway RV Park is across the street from the hotel and the train depot which means there is easy access to the train when it’s time for your train ride to the canyon. 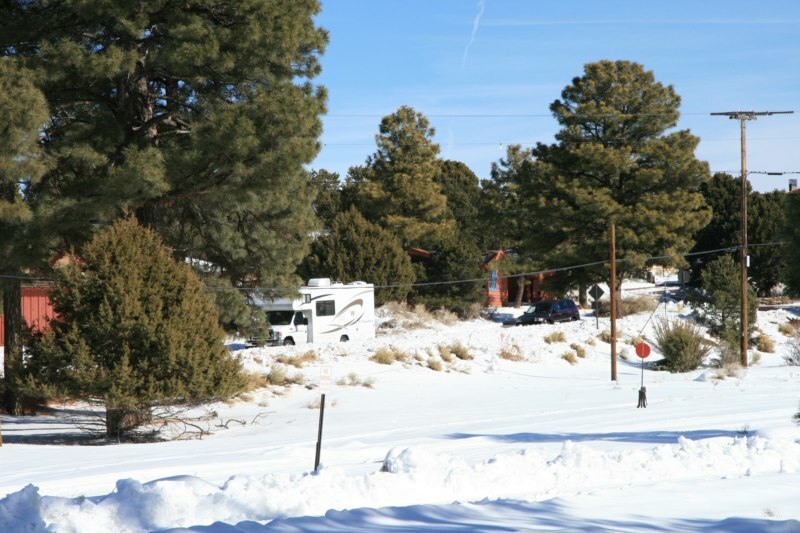 Campers can also get away from the noise of town by driving a few minutes north to the Williams KOA and leave their rigs while they visit the canyon. 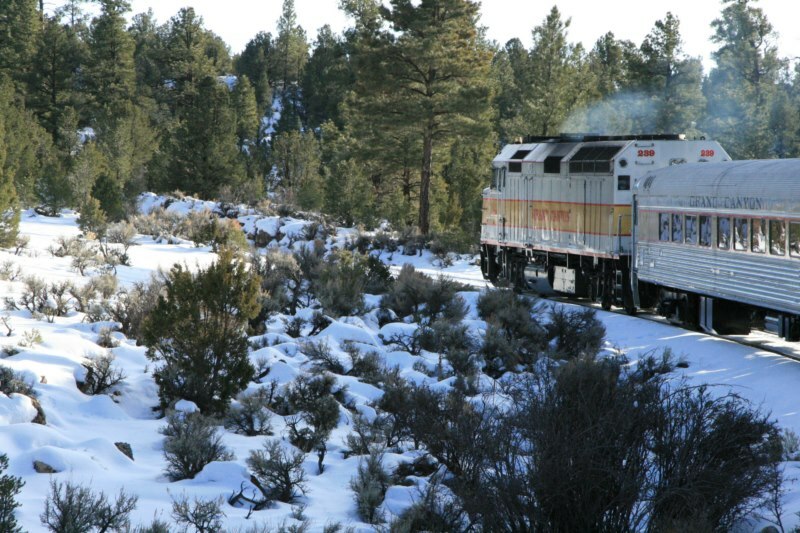 where the train almost runs back over itself, you begin to climb to the rim of the canyon. 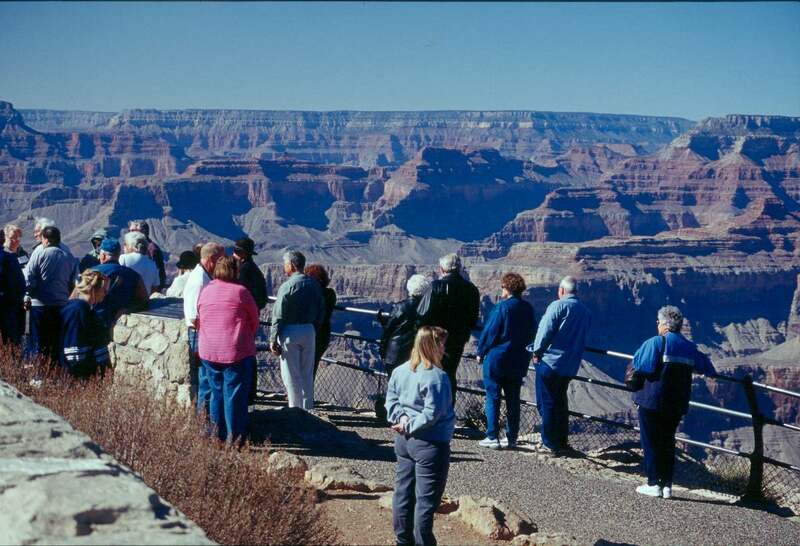 You can see it on television a dozen times, but the wonder and amazement of the first view of the great canyon will stay with the visitor for a lifetime. The Grand Canyon is a mile deep and perhaps eighteen miles wide. 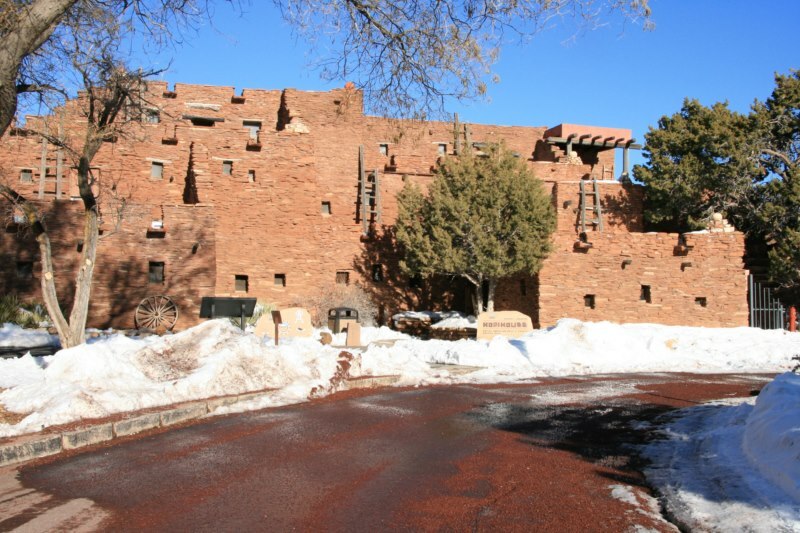 Erosion has created freestanding buttes and mesas as well as several steep sections of cliffs. The morning or evening sun blends with the natural colours of the rock layers to create a kaleidoscope of reds, purples and mauves that change steadily as the light level changes. 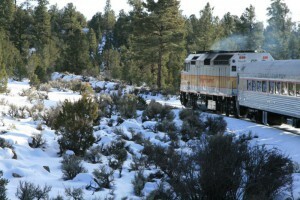 so the obvious thing to do is to book an overnight trip go up on the train and stay at one of the Grand Canyon National Park Lodges. 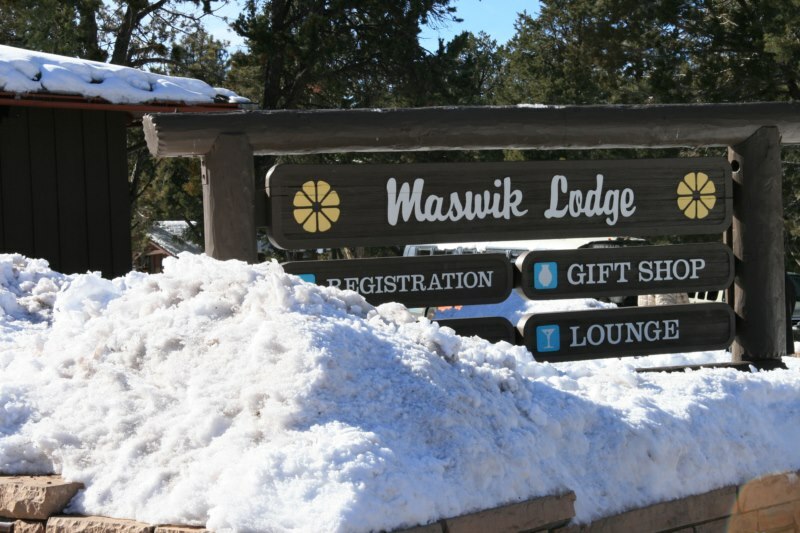 There are several lodges, all with good rooms, excellent food, and with prices to accommodate almost any wallet. We stayed at the Maswik Lodge and found it very comfortable. You can exit right onto the rim from some lodgings, but you’re never very far from a shuttle stop so it doesn’t matter which one you choose. You can ride to the end of the paved trail along the edge, and walk back at your leisure. That’s nice, and no vehicle to park, or to have to go back to get. It’s like being young again with no worries. Just wander as you wish and stop where you want to. I suggest riding the shuttle east, getting off at either Pipe Creek Vista stop, or the South Kaibab Trail stop, and walking back along the trail which edges the top of the canyon wall. The views are great, and you’ll likely find solitude along the way. It seems not too many people take the time to get away from the crowd. You can also book bus tours to take you to the more remote parts of the rim. 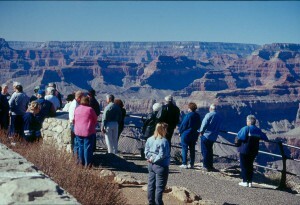 These tours are well worth the money and the scenic overlooks you will stop at provide excellent views into the canyon. For more than four decades James Stoness has travelled the roads of North America, photographing and writing about what he has seen. His travel articles and beautiful pictures have been published in several magazines and newspapers. He is also the author of five western novels. Visit his website at: www.stonesstravelguides.com.